THE WORLD HAS CHANGED SIGNIFICANTLY SINCE DOMINICA WAS GRANTED NDEPENDENCE. 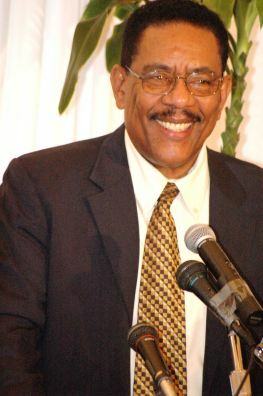 Roseau , Dominica – January 7, 2008………………..In his address to the Reunion Wivé activity on January 1, 2008, Prime Minister, Hon. 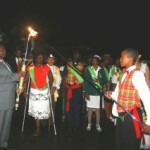 Roosevelt Skerrit told Dominicans that the world Dominica operated in when it gained independence nearly thirty years ago had changed significantly. “This great clarion call to visit the homeland is being sent out at a critical juncture in our history and in our development. This harsh reality is that the Dominica that is our home today is not, cannot and should not be the same Dominica that Britain handed over to us in 1978. 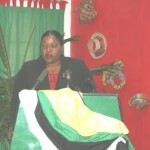 The world in which Dominica now has to operate is a changed place,” the Prime Minister stated. Roseau, Dominica – December 28, 2007……… A flotilla of canoes depicting the first inhabitants of Dominica, the Kalinago, will leave the southern tip of Dominica and travel to the Roseau Cruise Ship Berth at just before 5am on Tuesday, January 1, 2008. 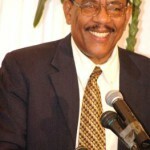 A Reunion torch will be handed to Prime Minister Hon. 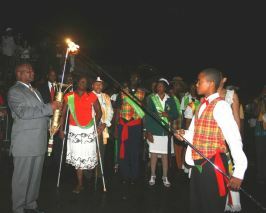 Roosevelt Skerrit to signal the start of Reunion Wivé- a grand and spectacular extravaganza to launch the commencement of activities to mark Dominica’s 30th year as an Independent Nation. The Dame Eugenia Charles Boulevard in the Capital City of Roseau will be the venue for Reunion Wivé, (Reunion has arrived). It will include Prayer and Praise, Cultural and Artistic Performances and musical interludes. 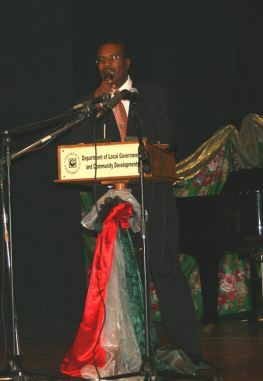 Roseau, Dominica – December 27, 2007……… In the keynote address at a National Summit on Non-Communicable Diseases in Dominica, Prime Minister, Hon. 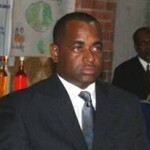 Roosevelt Skerrit highlighted the incidence of Chronic Non-Communicable Diseases (CNCDs) in the country. 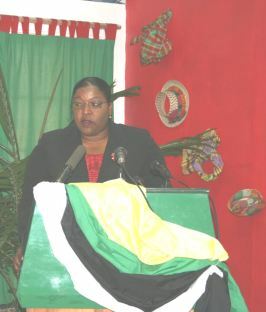 As a follow-up to the CARICOM Heads of Government Summit on Chronic Non-Communicable Diseases held in Trinidad in July, 2007 and on the initiative of Dominica’s Prime Minister, Hon. 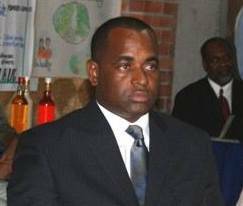 Roosevelt Skerrit, the Government of Dominica, through the Ministry of Health and the Environment convened a National Summit on the epidemic recently at the Fort Young Hotel in Roseau. According to Hon. 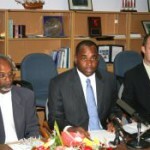 Skerrit, the main causes of CNCDs in Dominica include an unhealthy diet, physical inactivity, tobacco and alcohol abuse. Diseases of the circulatory system and cancers are the leading causes of death among Dominicans. 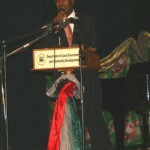 Roseau, Dominica – December 20, 2007………… Minister with responsibility for the Public Service, Hon. Charles Savarin has highlighted the reforms now underway in Dominica’s judicial system. Hon. Savarin who is the Minister for Public Utilities, Energy, Ports and the Public Service made the disclosure at a Presentation Forum on Reform of the Systems and Institutions relating to the Administration of Justice in Dominica which took place recently. According to the Minister, reform of the judicial system in Dominica is also supported by the World Bank. This programme provides technical assistance to the Government to implement key components of its public sector modernization strategy, focused on streamlining the public sector to increase the efficiency of service delivery while at the same time, lowering costs. Roseau, Dominica – December 19, 2007………… Dominica has become the first country out of sixteen in the Caribbean to benefit from its participation in the Caribbean Catastrophic Risk Insurance Facility (CCRIF) following the presentation of a cheque for US$279,338.14, which represents 50% of the estimated full pay-out. Dominica was struck by an earthquake which measured 7.3 on the richter scale on Thursday, November 29th 2007. At a ceremony at the Financial Centre last week, Dr. Simon Young of CCRIF presented the cheque to Prime Minister and Minister for Finance, Hon. 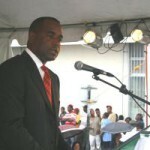 Roosevelt Skerrit. According to Prime Minister Skerrit, the issue of an insurance which would assist Caribbean countries to respond to disaster situations, “has been discussed for a very long time”. 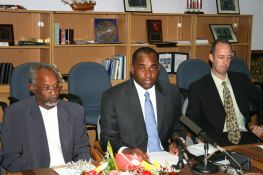 After the passage of Hurricane Ivan in Grenada in 2004, Caribbean countries again made a call to the donor community, more particularly the World Bank for assistance to develop such a facility. Roseau, Dominica – December 13, 2007……… The Government’s Programme for economic growth and private sector development received a significant boost with the signing of the financing agreement between the Government of Dominica and the European Commission last week. The assistance will be provided as direct non-targeted budget support and disbursed in three tranches with the first being $15.7 million and the other two EC$10.3 million each. Expected results from the project are the strengthening of customs services to include modernisation and automation of port and customs information and payment systems; strengthening of the investment environment and establishment of an investment promotion agency.